We know some gardeners who do more than order seed in February. They’re out in their patch, cutting kale and other greens, pulling a leek or two and generally bringing in fresh veggies they’ve dug out from under mulches or hoop shelters. Granted, these gardeners mostly don’t live in Montana as we do. 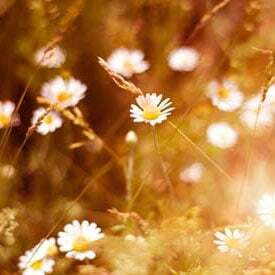 They’re situated in the maritime Northwest and in the wide inland river valleys of Oregon and in coastal regions of the south and in the Midwest, even in those areas that suffer frost and the infrequent snow cover. In hardiness zones where you least expect it, winter gardens are producing salads and braising greens, beets and turnips and maybe a green onion, often a volunteer missed the previous season. 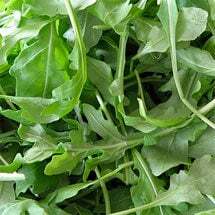 Here in Montana, where temperatures can plunge well below zero and snow covers can last November through March and beyond, we’ve surprised ourselves in how late we’ve been able to hold arugula, corn salad and some Asian greens, at times past Thanksgiving. And yes, we’ve dug kale out from under snow to add to our soup pot. Those plants that survive the winter after fall planting under the inches of mulch and, sometimes, blankets of snow, always give us a jump on salad season come spring, offering up baby greens almost as soon as the snow is out. And sometimes a good freeze is just what a vegetable needs. Those in more temperate climates have an easier go. Our correspondent on Washington state’s Skagit River delta reports that despite repeated frosts and short-lived snow, he picked mizuna, both blue-curled and Russian red kale (great for braising, he says), even some chard and broccoli side shoots. His theory is that the frost, so thick and airy as it is in the damp Pacific Northwest, actually protects edibles from suffering temperatures below freezing. 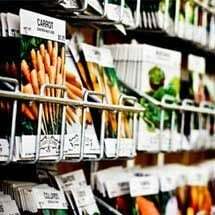 Now that we’re deep in the season when gardeners are planning and ordering seed it’s important to consider what you’ll need for late planting and over-wintering. 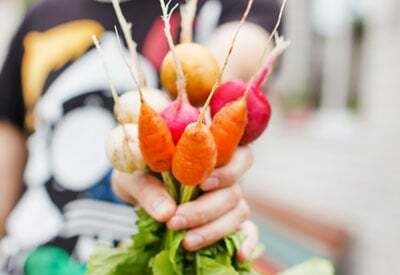 What are the best vegetables for your winter garden? And which strategies are best for keeping greens in your garden all, or at least some, of winter? Most important is what you grow. Not only does a plant need to survive cold temperatures, it must sustain itself with little light. The choices, though limited, are surprisingly varied. 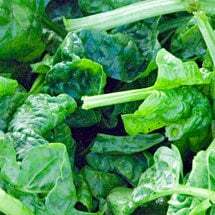 Kale, spinach, arugula and Chinese cabbage will all survive night-time temperatures well below 20 degrees. They’ll overwinter even in areas that receive frequent snow if protected properly. 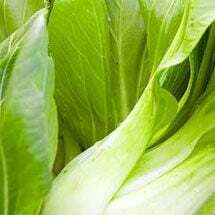 Bok choy, pak choy and all root vegetables need temps of at least 20 to keep their greens viable. But they still will do well if conditions aren’t extreme and they are well-insulated. Leaf lettuces have never done well for us over winter. Their high water content makes them susceptible to damaging freezes and any snow cover is more than they can take. 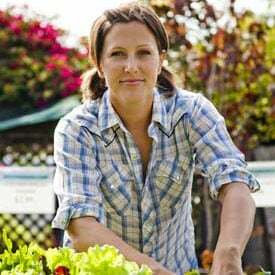 But that doesn’t mean you can’t have late season salads, as late as Thanksgiving or beyond, by mulching and covering on particularly cold nights. On the other hand, cress and corn salad (mache) are particularly hardy. Their relatively small size makes them easy to blanket with mulch. If you have a clear day or two, carefully pull back mulch and let them have some sun if temps aren’t much below freezing or above. A delightful miniature salad can be made of their tender little greens all through the season. They may even start to put on new growth as early as February when days become longer. Greens for winter harvest can be planted in August or as late as September in most areas though germination becomes a problem as days shorten. Collards, which need more time to grow, may need to be planted no later than July, a time that doesn’t favor seed germination. Starting seed in your basement and putting the starts out around the first of August has been known to work. Broccoli, Brussels sprouts and head cabbage overwinter well where conditions aren’t brutal. 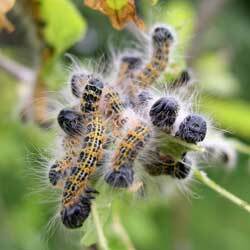 But don’t expect to get any growth from them or allow them to linger out in the elements. Cabbages especially seem to give in to cycles of freeze and thaw once past the New Year. Brussels sprouts handle winter especially well. But when you’ve picked them all, pull the stalk and put it in the compost. A young scientist I know pleaded with her father to let the sprout plant stay to test her theory that there’d be a new crop. The results, needles to say, were disappointing. Common garden practice in some areas, like fall planting of onion and garlic starts, can yield late winter harvests. Cover over the scapes with airy mulch that allows for moisture evaporation as soon as cold weather sets in. They won’t grow much, if any when daylight recedes, but the bulbs will. Garlic will stay cozy over the winter in temperatures that might touch single digits, as long as they’re well covered. 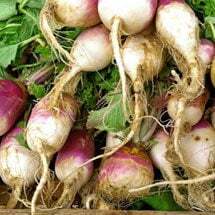 Beets are a good root crop for winter gardens, as are turnips, if you have the conditions for them. Mix in some sand or other soil lightener that will facilitate drainage of all that seasonal moisture. It will also help prevent roots with twists and legginess. Both beets and turnips sprout excellent greens. Pull the whole plant for steaming. They make an excellent visual addition to any plate, especially when the roots are small and tender. Improves planting success by creating the perfect growing conditions -- indoors! 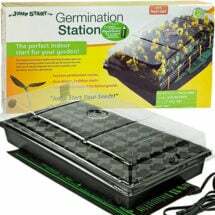 Grow bigger, healthier starts with the Hydrofarm® Germination Station. 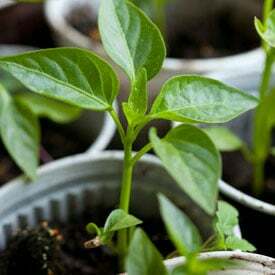 Offers increased growing success by providing gentle heat to the root zone and by controlling humidity under the dome. Easy to use — just add your own starter mix! We’ve known gardeners who’ll plant peas in the fall hoping to get a jump in the spring. But it doesn’t seem to work that way. Pea seed planted as early in spring as conditions allow has always caught up with the seeds we started in late August. Both seemed to blossom about the same time. Which strategies are best for keeping greens in your garden all, or at least some, of winter? Insulation is the key to overwintering. Your goal is to utilize the earth’s relative heat-retaining properties to allow plants to survive if not flourish. Use clean straw (not a good idea to cover vegetables you’ll eat with stable sweepings; put them in your compost pile) or shredded leaves, wood shavings or some combination that will bulk up the cover. Row covers can be useful in cold, high altitude regions with snow cover. Mulch plants under the covers. Make sure wet, heavy snows don’t collapse the cover on delicate plants. Soil preparation is also key. 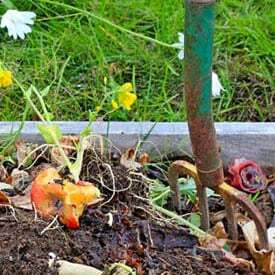 Good drainage is a must in the damp months of winter, fall and spring, especially for root vegetables. Your results, as the advertisement says, may vary. Mild winters have pushed winter gardening further north here and there. And gardeners seem willing to take more chances to get a supply of fresh, nutritious kale from their gardens year-round. But winter’s still winter. It’s important to know your local conditions and seasonal weather patterns. The best source for this kind of information is your own journal, especially if you’ve recorded freezes, temperature swings and precipitation on a daily basis. Records such as these will give you a good idea of what plants are best for your winter veggie patch. And, yes, growing all year is a gamble in most places. One early storm and cold snap may make all your preparations futile. On the other hand, we’re constantly amazed at the resiliency and tenacity of the plants we like to eat. Of course, you can’t expect winter results to equal even spring and fall growth. The shortness of the days and the absence of light inhibits growth. 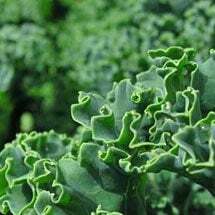 Kale stems toughen and some spicy greens including mustard greens, take on a tartness they won’t have when fresh planted in the spring. Expect small, even tiny harvests. Still, there’s nothing like bringing in small handfuls of February kale to spice up a stir-fry with leeks just pulled from the garden, the plate decorated with mache and other baby greens. The harvest may not be abundant. But there in the dead of winter it will be precious. Such a great gardening resource =) Thanks for sharing. This summer the rain, bugs, and weeds grew the best I have ever seen (insert laugh track. I tilled several times recently, added peat moss, black hen, and 666 live in St Pete, FL and I’m trying to use the next three months to sneak a crop of stuff in. I do lose sun to shade over about half of garden. I will try greens, root crops usually do well, and broccoli. Input on what to plant or try for my zone? Kale does grow well too! I live in St. Pete also and this summer I planted lots of white and orange sweet potato slips. I ended up with bushels of sweet potatoes, I think I’m feeding most of the neighborhood. No fertilizer, additives or tilling needed, the whites did extremely well and were very disease and pest resistant. Summers are so hot here, I don’t think much will survive here except sweet potatoes, beans and a very few other things. For things to plant in winter, check out St. Pete Eco Village. It’s a cooperative garden and plant lots of stuff and can give you some tips.